ONE of the most interesting stories I’ve read in the past week was about a family that tried to reconnect with each other by minimizing their use of technology. In the piece, “Your BlackBerry or Your Wife” in the Wall Street Journal, Elizabeth Bernstein writes about the Broadnax family and their struggle with renewing their familial interactions after the mother, Diane Broadnax, a 50-year-old clinical trial researcher from Mount Airy, Maryland, banned computerized forms of entertainment in their household for a week. I can imagine how difficult it must have been for this family to fill in the empty silences once forced to just sit at the dinner table, and communicate with each other directly. But this phenomenon of “disconnect” has become more prevalent than you know it. Once, when I was logged on Facebook, I found it amusing that some of my friends—a husband and wife—communicated through the social-networking site. The situation was just begging to be poked at, and I did jokingly ask the couple one time, on Facebook as well, if they no longer lived in the same house. Both of them answered that they were in different parts of the house, which made me think that their home must be so huge, it was difficult for each of them to make that “long” trek to talk directly to where the other person was located. Hahaha. But no matter how “enriching” the experience of being on social-networking sites may be, or how various electronic devices and cell-phone/computer applications enable us to keep in touch with our loved ones even if they’re thousands of miles away, there’s still nothing like face-to-face interactions to strengthen our affections for them. For instance, it’s still much more entertaining to personally see and hear my young friend Kurdapya make her amusing commentaries about government officials and general issues of the day. Her eyes roll up, her mouth turns up in a knowing smirk, and her arms are all over the place. The same joke tweeted, for instance, does not make the same smashing impact as when you see her say it up close. To paraphrase a film title, something is lost in transmission when blurted via a computer or through SMS. Seriously, if like Ms. Broadnax you already feel alienated from your own family because everyone is tethered to his/her cell phone, computer or TV, then maybe it’s time to take control of your family’s tech life. For one, ban all cell phones from th e dining table. Everyone who has eaten at my home know how I don’t like cell phones around when everyone’s eating. Even my nieces and nephew are not spared from this. They automatically check their messages before sitting with my Mama and I at the dining table, and then ditch their cell phones in their bags or on some nearby shelf. Take away the TV sets from everyone’s bedrooms and just assign a family room where the TV should be. My sister has successfully done this, which is why there were no distractions for her kids when they were still studying. And even when everyone is glued to the TV in the family room, there is still a whole lot of interaction between her and her kids or her husband—comments about whatever show is on, catching up on whatever happened to each of them during the day, etc. Even when it’s all just silliness, the important thing is, there is conversation going around. If you can take away the TVs, maybe you can take away the personal computers as well and put them in the family room or a home-office space. This way, there will be some amount of communication among family members even if everyone is doing their thing at their workstations. Such a setup also opens opportunities for parents to help children in their homework. Related to this, manage your kids and your own computer/TV use. Allot a time period for kids to use the computer and do their assignments. Kids are supposed to play out in the yard with the pets, with you and your spouse, or the neighbors’ kids. They shouldn’t be stuck at home playing Wii or Ragnarok, or some computer game where the other player is a million miles away. Similarly, you shouldn’t be spending your free time watering your Farmville plants, or building imaginary restaurants. Try to do something as a family and away from the computer or TV. Postpone giving cell phones to your children as long as you can. While it’s true these devices help you monitor your kids’ activities, and you can easily trace their whereabouts, the truth is, your kids can always lie about where they are (unless you’ve been tracking them via GPS, that is). Besides, I usually see kids use their cell phones just to call their driver to pick them up “now na!” (whatever happened to setting an appointed pickup time and good old-fashioned waiting? ), or text frenziedly their friends (even during Mass!). Lucky for you parents if they actually call you to tell you how their school day went. So maybe, you can loan your child a cell phone while he is out of the house, but when he is at home, confiscate the gadget so he can focus on studies instead. If your kids need to talk with their friends or classmates about homework (a likely excuse), they can always use the landline—remember that old-fashioned phone? 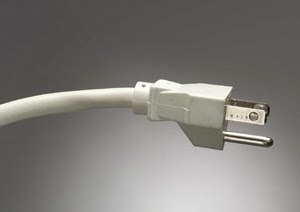 Related to managing computer/TV usage, set up an “unplug” day. Those who’ve been following this column know that I started doing this two years ago. I switch off all cell phones and my computer—so no SMS, Facebook, Twitter and other mindless surfing. This is the only day I usually pick up a hard-copy newspaper, when normally I go through online news web sites during weekdays. Believe me, it’s given me more peace of mind and enabled me to finish up chores that had long been unattended. I’ve even managed to catch up on my book-reading backlog. I usually do this every Sunday, and most of my friends know that the only way they can get in touch with me is to call me on my landline if it’s really important. You can do this as well. Unplug on Sundays, stay at home and play games, which will help sharpen your kids’ socializing skills and prepare them for future “competitions”. I remember when my entire family, including my Pop, would play all sorts of board games as we were growing up—Snakes & Ladders, Old Maid, Lucky 8, eventually graduating to Scrabble, Games of the Generals, MasterMind, etc. It was fun and even if my parents were not affluent, we kids were kept entertained. Technology can help us accomplish much at work, and keep us in touch with our loved ones. But sometimes it can also ruin our relationships. Know when to stop the tech craziness and bring everyone back to the basics.